Margam Castle is a large mansion house built in Margam, Port Talbot, Wales, for the Talbot family. It was built on a site which had been occupied for some 4000 years and from the 11th century was an abbey. The "castle" is actually a comfortable Victorian era country house, one of many "mock" or "revival" castles built in the 19th century during the Gothic Revival. 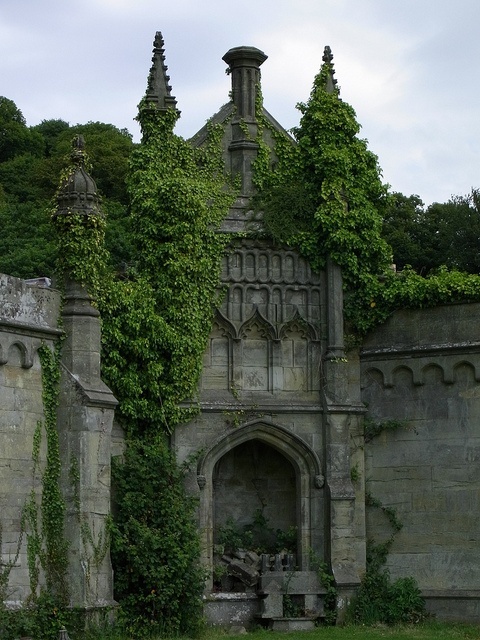 It was commissioned by Christopher Rice Mansel Talbot (1803–1890) and was constructed over a ten-year period from 1830 to 1840. After a Grand Tour of Europe, Talbot returned to south Wales and from 1830 set about redeveloping the family estate at Margam. The mansion was designed in the Tudor Gothic style by architect Thomas Hopper (1776–1856), while Edward Haycock (1790–1870) was supervisory architect and designed parts of the interior and exterior of the house, the stables, terraces and lodges. Talbot also took a keen interest in the project, encouraging his architects to borrow elements from Lacock Abbey in Wiltshire (ancestral home of the Talbots and home to his cousin William Henry Fox Talbot) and Melbury House in Dorset (home of his mother's family, the Fox-Strangeways, Earls of Ilchester).